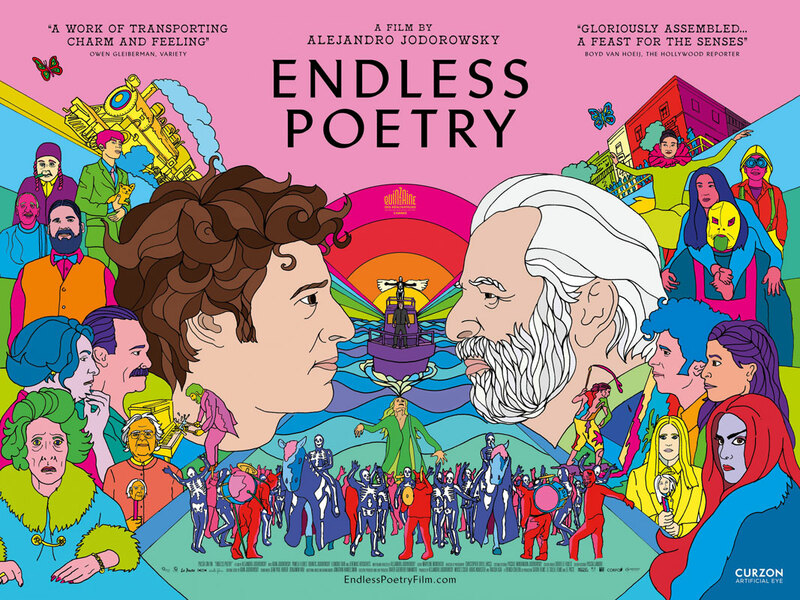 “Endless Poetry” is a visual feast for the soul, a cinematic masterpiece. In his latest and most personal film, Alejandro Jodorowsky recounts his adolescent years growing up in Tocopilla, Chile, in the heart of a traditional immigrant Russian Jewish family with his unique, fascinating, and surrealist style of storytelling. The poet, writer, filmmaker, philosopher, and accomplished artist Jodorowsky expresses himself in the only possible way he could, through writing. One of the first and most severe actions any individual must do is to cut off the genealogical tree - an essential act of bravery to become an independent person. From many of the conversations young Jodorowsky (played by his son Adam Jodorowsky) has with his Alter Ego (played by Alejandro himself) emanate some extraordinary philosophical concepts materializing in symbolism. By taking off the mask imposed by society, the poet has to be bold enough to express his emotions with clarity. 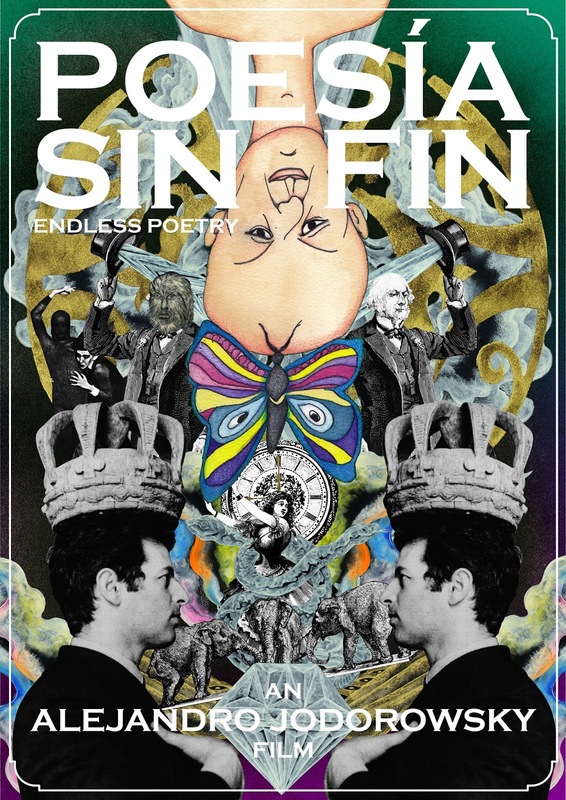 The poems turn into shapes and forms, colors and sound to integrate the perception of love, greed, spirituality, cowardice, bravery, identity, sexuality, homosexuality, friendship, honesty, fidelity, and desire. Escorted by other artists, musicians, dancers, contortionists, painters, architects, and other writers, the poet’s journey is always on the quest for spiritual freedom. In this film, the music score is haunting. 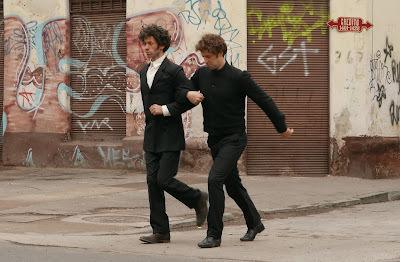 The composer is Alejandro’s son, Adam Jodorowsky, who also plays the leading role in this and many of his father’s projects, like in “The Dance of Reality” (2013) and in “Santa Sangre” (1989) as well. Alejandro’s vivid imagination is influenced by his Chilean heritage and the cultures of the countries he lived in - Mexico, France, and Spain. His Jewish, Russian, and Latin roots blend in reflecting a high-grade of sophistication in his Corpus de Obra (body of work). 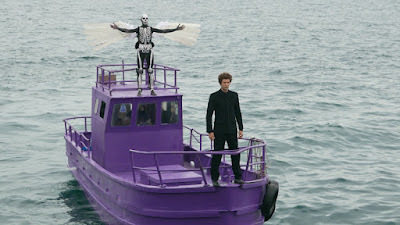 The filmmaking technique of Jodorowsky is exceptional, comparable with the paintings of the Colombian artist Botero or the Mexican muralist José Chavez Morado. “Shut-up! 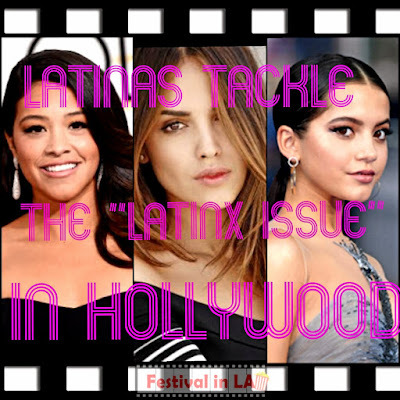 Poets don’t give explanations.” Alejandro shouts out loud, making a powerful statement against self-censorship. 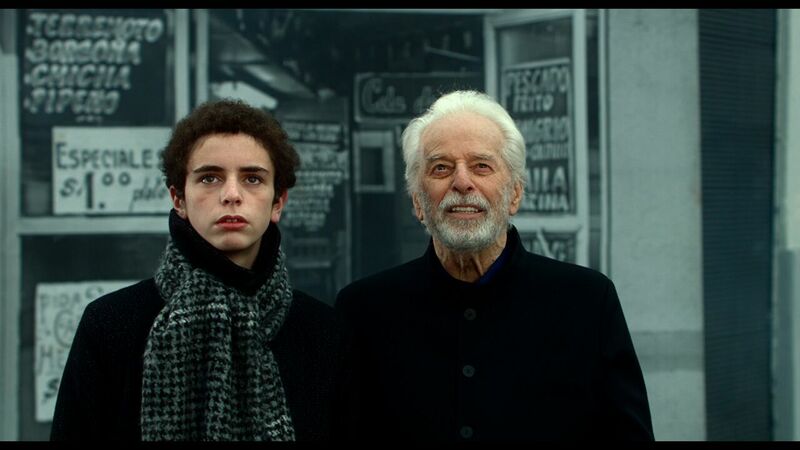 Jodorowsky is not afraid to open his soul to the nakedness of the body. In writing, those inhibited thoughts must go. Remember, poetry is food for the soul. The poet is always looking for his own identity. A muse is essential for the poet’s inspiration. 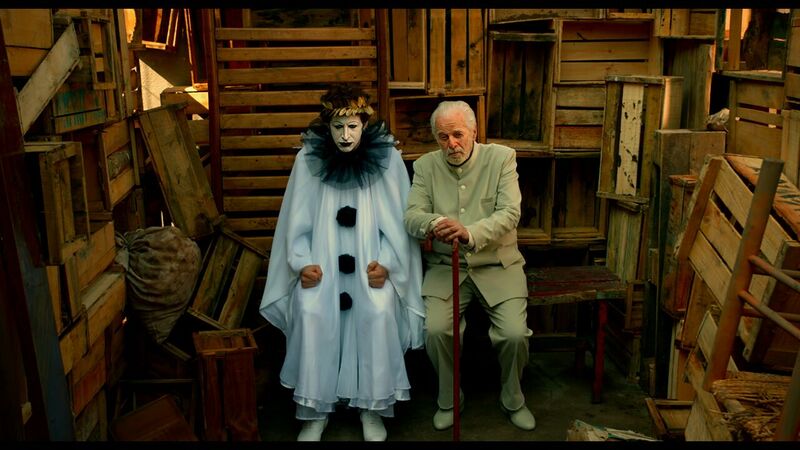 In Jodorowsky’s case, she was the mature woman who shaped his life into adulthood. She was the one who seduced him to his first sexual experience and furthermore into an eye-opener fetishist ritual and other perversions. The need for attention and the dependency of affection made his life staggered, but he didn’t fall over until she broke his heart. 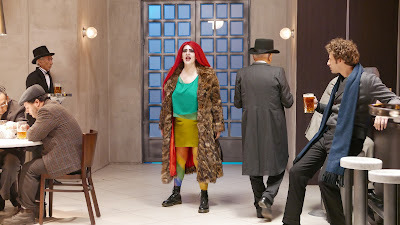 She was also the same unconventional woman who inspired Nicanor Parra’s poems. After a fire, desolation is all that it is left. The only badge an artist can carry is the intellect they have inside - hate, jealousy, and guiltiness. But emptiness brings depression. Suicide is a constant thought for many artists who have not succeeded. Other artists inspired love and respect. Artists help to discover the beauty in life. Artists can turn the music up and get the party started with joy and happiness. The excess of freedom can turn into an act of anarchy. Finding legitimacy in the tarot is not an esoteric act of sorcery or empirical labor of witchcraft, it could also bring hope to the artistic community. Overindulgence brings remorse. With faith, artists must confess all their sins. Nothing irreverent by finding comfort within a religious conviction. A poet can get the “Rock Star treatment” by friends, fans, and even strangers. After all, poetry is an illusion and life is a game. The circus is another critical component in Jodorowsky’s films. In the circus, we can find elements of illusion and hypnotic colors. The implausible animals are becoming part of the story as well. Let’s don’t forget about the multi-faceted clowns who awake in the audience some bad emotions - anxiety could confront happiness and amusement. The circus has the unique sense of an eternal “fiesta” that keeps everybody’s spirit alive. At the end of the 1960s, the world’s political arena was full of paranoia - “The Cold War was still cold,” Alejandro remembers. The repression of the artists and intellectuals by the Chilean government was constant. By burning the materialistic elements of his childhood in his parents’ house represents a painful goodbye to his past – another act of liberation to hail a brighter future ahead. The glorious moment of the film arrives with a colossal Carnival. 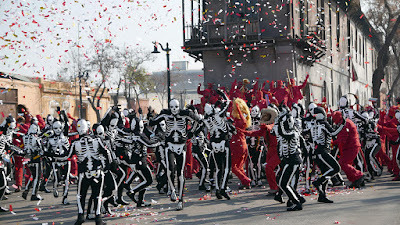 In there, hundreds of dazzling Red Devils and White Skeletons dance a monumental cacophony of color and rhythm - the infectious Latin beat coming from the catchy cumbia song makes everybody feel like dancing. Due to the political anticlimax in Chile, Jodorowsky makes a painful decision to say “Adios” to the people he loved and leave the country by taking a boat on a journey to an eternal exile. “Endless Poetry” can compare to other works of fantasy, surrealism, and existentialism. For instance: Julie Taymor’s “Titus” (1999) and “Frida” (2002). Also Alejandro G. Iñarritu’s Best Picture Oscar winner “Birdman” (2014). The Indian director Tarsem Singh with his fabulous work “The Fall” (2006), Peter Greenaway’s “Eisenstein in Guanajuato” (2015) and the French production “Slak Bay” (2016), directed by Bruno Dumont. It is worth mentioning Terrence Malic’s “The Tree of Life” (2012) and “Knight of Cups” (2015); Jaco Van Dormael’s “Mr. Nobody” (2013), and the Polish high-spirited masterpiece “Field of Dogs/Onirica” by Lech Majewski (2014). 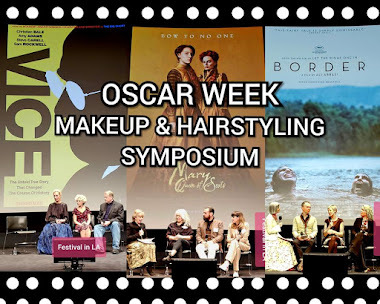 Those eccentric titles follow a pattern of enormous philosophical concepts that look to explain the meaning of life in movies. 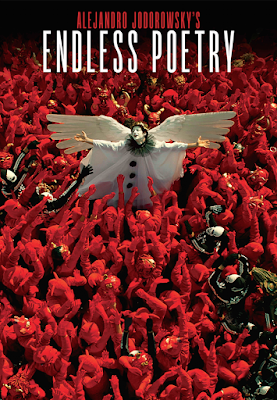 Jodorowsky's style reflected in “Endless Poetry” could be related to the works of other great masters of cinema like Pasolini, Luis Buñuel, Federico Fellini, or even David Lynch. 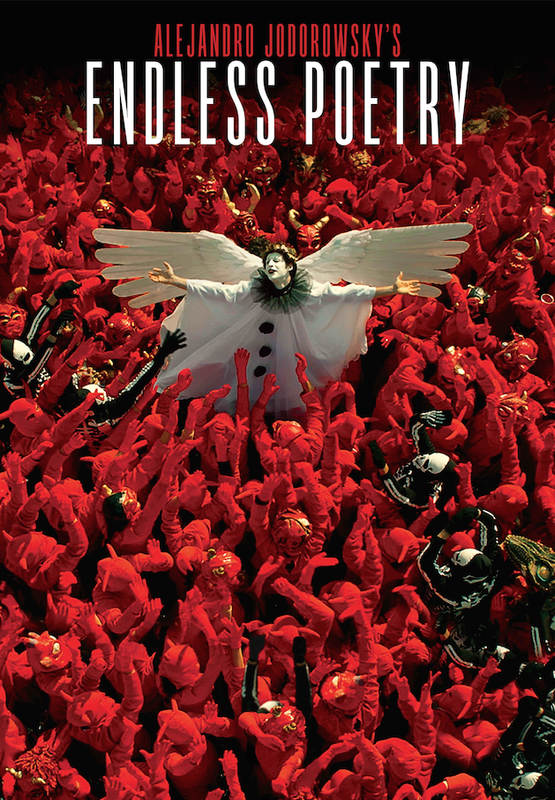 The truth is, “Endless Poetry” is a very Jodorowsky film in all senses. After reading the reviews on Endless poetry,I so want to watch this movie for some ultimate fun this weekend along with my husband.